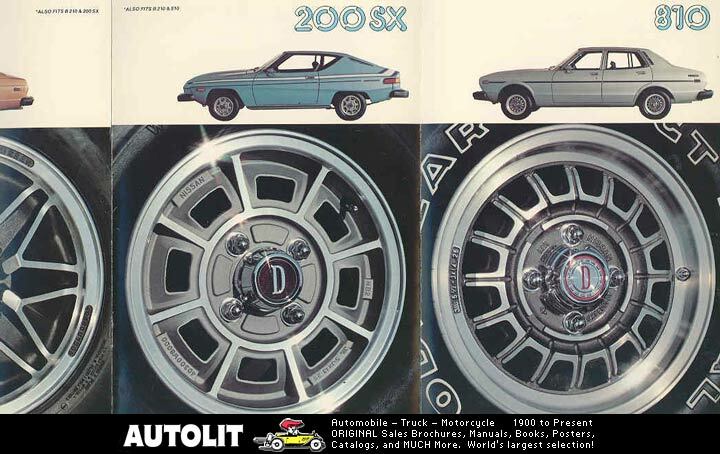 Was wondering if anyone local knows of any places that may stock some older styled wheels for Datsuns. Most of the places I've found are in the states and shipping just kills the deal. Looking for something in the R13/R14 x5.5 or 6 size. Are there any junk yards I should be paying a visit to? what type of wheels are you after? many wheels available by word of mouth. I have a few and know guys with a few more. if you needed rolling painters I have many stockers that hold air. I gave RMS this set. I'm not if he still has them but they are 14 x5.5 zero offset. Do you have a VTO distributor in Canada? Basically I'm trying to find a 13/14 wheel that looks like it could have came with my 1000. The car originally came with 12's but that's not going to fit with the front disks on the car, so 13/14 it is. I'm still not sure how I feel about Pana/minilite style. I'm running 185/60/R14 it they're way too big. Need at least the tire/rim to go down 1inch. Besides the first pic below, the rest look like a steel wheel like looked like it could have came from the factory that way. 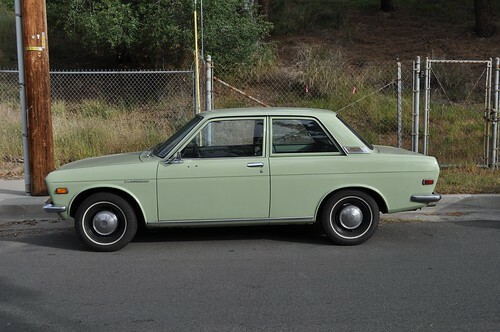 I'd be pretty happy if I can snag a steel rim + datsun hubcap combo off a 1200/fairlady/510 or something. Any ideas? RMS wrote: what type of wheels are you after? many wheels available by word of mouth. I have a few and know guys with a few more. if you needed rolling painters I have many stockers that hold air. 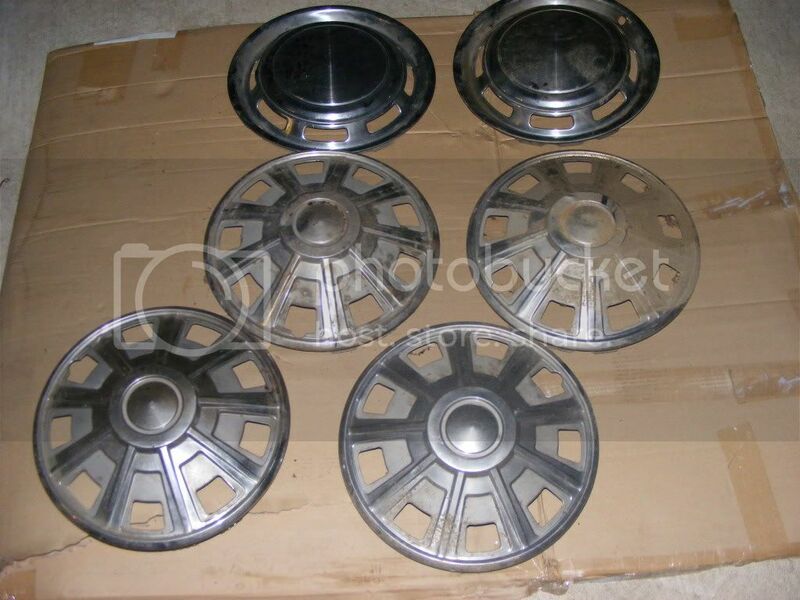 RMS, you don't have any Stock 510 13's with the hubcaps, do you? 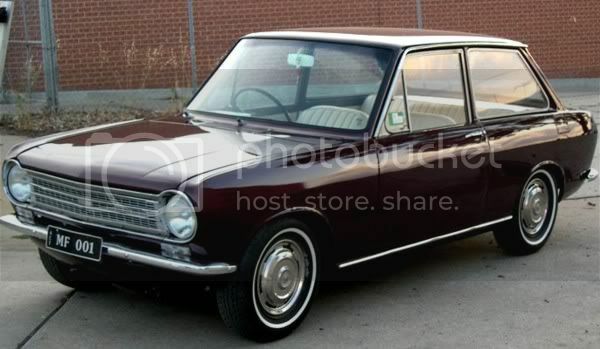 Would love to see how 13's sit on this car with period hubcaps. If RMS can't hook u up with what u need, pm me. I have stockers with new 13" tires as well as a couple sets of 13" mags, (one set of carrol shelby's) also some new 175/50/13 tires which I picked up recently. I'll give you guys a PM after the long weekend. Wedding season. Busy busy busy busy! I think 510's came with two styles? Which ones do you have? 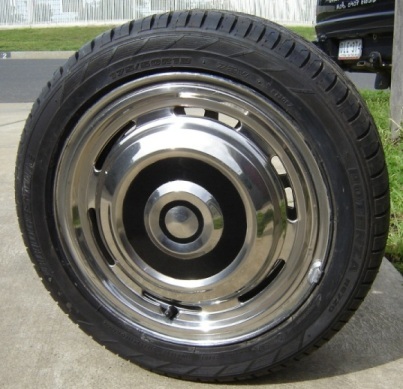 I also have some 4bolt craigars that look like this but with peeling chrome. even if your not interested in the wheels you may want to check out my 1000 parts pictured on pg 25 of 68 canadian http://www.the510realm.com/viewtopic.ph ... &start=360before I list on Epay. These look interesting. Very similar to the stock caps. I'll shoot you a pm. Hi RMS, sent you a few PM's. Last edited by subwoffers on 08 Sep 2016 14:32, edited 1 time in total.